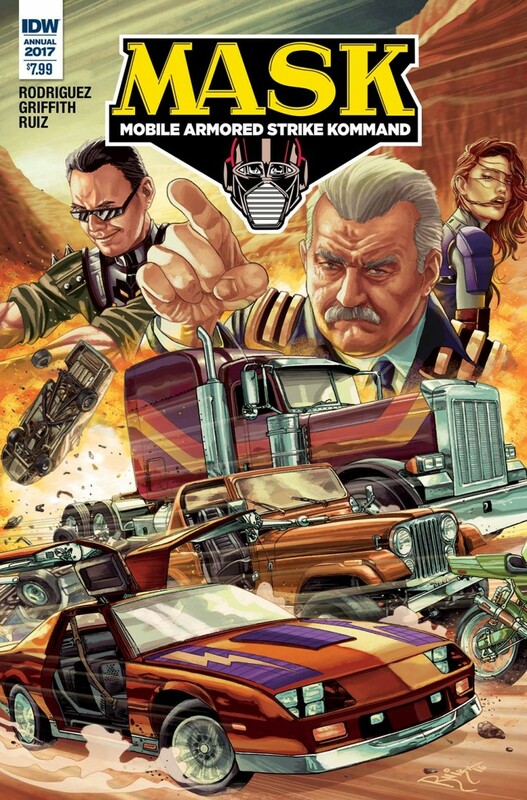 The M.A.S.K and G.I. Joe teams are put to the ultimate test as they join forces in a desperate, world-spanning, quest to keep V.E.N.O.M from harnessing the power of a stolen meteorite before its strange power can be used to dominate the world! The Annual Offensive is here! Re-imagining the original television pilot, “The Deathstone”, for the new comic book age! The origin of Cliff Dagger revealed!